On our tour, we will guide you through our brewery and show you the process of making sake leading to the creation of Amabuki. You can tour our structures, including a century-old building that has been registered as a tangible cultural property, and learn about our brewing process that starts with flowers and ends with finished sake. To apply, please call us or fill out this form. 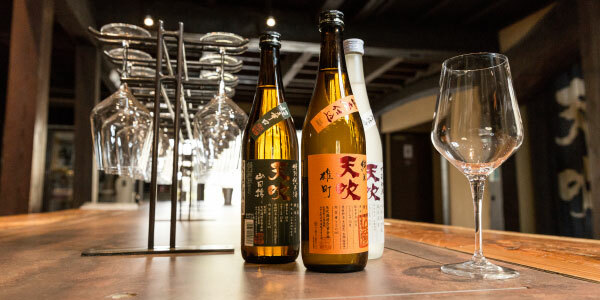 The brewery tour, including sake tasting and shopping, lasts for approximately one hour. Please take this into consideration before applying. Also, our parking lot is only equipped to accommodate 10 vehicles, and our lot may be crowded. Please also take this into consideration before applying. The tour of sake warehouse will be held on weekdays only. Please note that Saturdays, Sundays and public holidays can not be applied. ※Sake watch tour will be held on weekdays only. To apply, please fill out all required fields in the email form below. You will be contacted by a staff member from our company within three business days. *Customers whose email clients or mobile services have flagged our domain name as spam may not be able to receive replies that we send in response to inquiries. Please make sure to white-list emails for the domain name <@amabuki.co.jp>. (C) AMABUKI SHUZO CO., LTD.